The Velleman Vertex K8400 Three Dimensional (3D) printer is the next generation Velleman 3D printer kit. Easy, accurate, affordable and open source. The K8400 is easy-to-assemble and offers features that rival those of printers that cost up to three times as more! Create precise 3D prints with 1.75mm filament and 0.05mm layer resolution. Reaching up to temperatures as high as 270°C, the Vertex printer can print PLA (Polylactic acid) and ABS (Acrylonitrile Butadiene Styrene), as well as other plastics. The K8400 3D Printer Kit comes standard with an LCD backlit screen from which you can command stand alone printing. Stand alone printing allows you to control every aspect of your printing job, print from an SD card, and refill filament using simple commands. 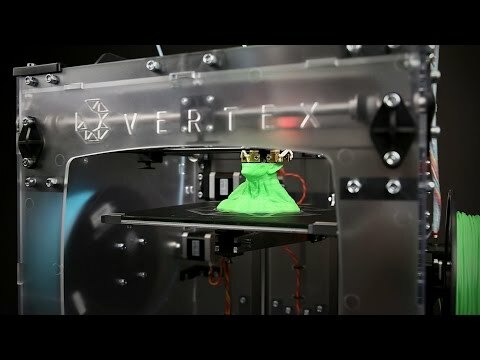 The Vertex K8400 is compatible with all common and freely available open source 3D printer software packages. The extruder on the K8400 is stainless steel with a filament pulley wheel. Use the built-in setting for loading and unloading filament for your creations. The extruder is ultra-reliable with 1.75mm filament. See below for additional extruder option, which you can add on to the K8400 to make it capable of printing two colors simultaneously. The K8400 platform is made up of a 4mm aluminum frame (fixed), 4mm glass plate (removable), and Buildtak sheet. The platform frame is level and sturdy, while the Buildtak sheet on top makes the ideal print surface. View below for information on additional Buildtak print surfaces for your printer. 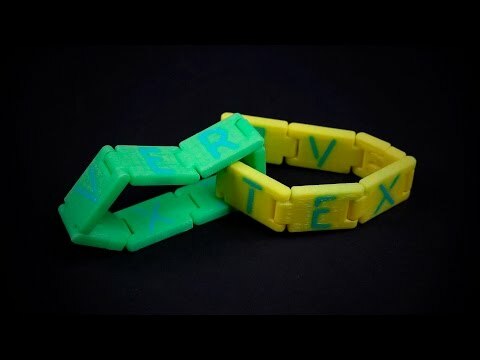 K8400 bearings are easy-to-maintain plastic and remain silent while create with your Vertex. Bearings and Z axis are manufactured to provide ultimate stability in your 3D print space. Add the K8400-BT Buildtak sheet to provide the optimal printing surface for your 3D prints to adhere to. is an easy-to-install, heat-resistant, long-lasting 3d printing surface. This print sheet allows for clean, easy removal of completed builds. Nozzle 1 & 2 Diameter 0.35 mm One nozzle supplied. Second nozzle optional. AC Input 100 - 240 VAC 50-60Hz 150W max. Version 1.0.6. for legacy use only! Q. Does the K8400 kit come with a spool of filament ? No, the K8400 does not come with any filament. Q. Does the 8400 printer come standard with the VM8400MB Atmega board that can be used for CNC, etc or what is the standard board used to drive the unit? Yes, the VM8400MB is included in the K8400. Q. Does this model come with a heated build plate? No. It includes a Buildtak sheet to print on – Velleman K8400-BT. Q. Does the K8400 come with a single head extruder? Yes. It is supplied with a single print head, but is capable of dual extrusion. The second print head is Velleman K8402. Q. Can I use this heater plate in the K8400 3D Printer? The P8200BED/SP is designed for the K8200.